🌷 Good Monday morning. Tomorrow is the first day of spring. Today was the debut of our new daily Axios segment, “1 Big Thing," airing at 5:55 a.m. ET on MSNBC's “First Look,” in the lead-in to “Morning Joe." Tune in each weekday for a sneak peek at my top item! Check out this quick-turnaround clip from this morning. Exclusive for "First Look": Axios has learned that special counsel Robert Mueller has focused on events since the election — not during the campaign — in his conversations with President Trump's lawyers. The top two topics that Mueller has expressed interest in so far: the firings of FBI director James Comey and national security adviser Michael Flynn. That suggests a focus on obstruction of justice while in office, rather than collusion with Russia during the campaign. 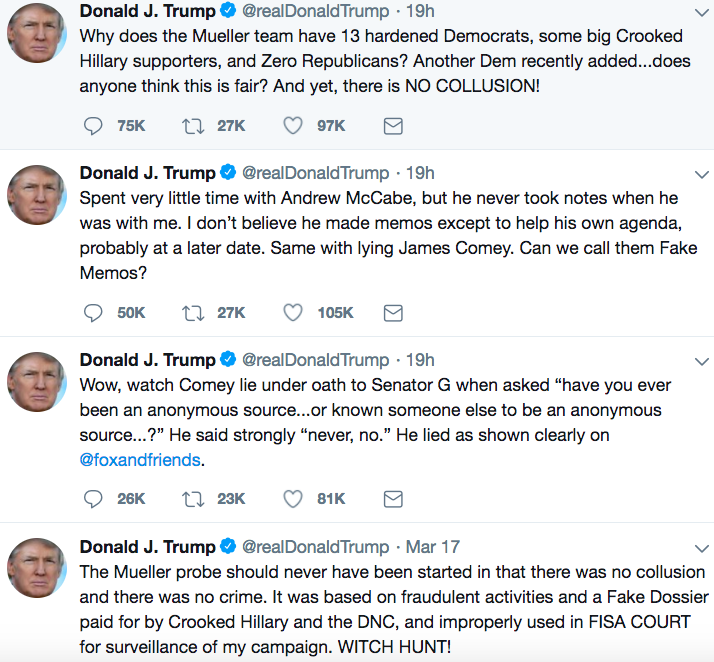 But both sagas are interwoven with Russia: Trump himself has linked Comey's firing to Russia, and Flynn pleaded guilty to lying to the FBI about conversations with the Russian ambassador during the transition. 2. Scoop: Saturday gun marches will blanket U.S.
On Saturday, in conjunction with the Florida students’ #NeverAgain march in D.C., teen organizers will hold more than 700 other marches across the country, covering 387 congressional districts in all 50 states. Marches will be held in the biggest cities — New York, L.A., Chicago, Denver and Atlanta — and also small towns, according to Everytown for Gun Safety, which is providing grants and guidance to local organizers. The solidarity marches are being organized partly by students, with speaking roles largely going to teens and survivors of gun violence. The events will include a big voter-registration push. In addition to marches and rallies, advocates will hold musical performances, poetry readings and moments of silence. Behind the curtain: The group is offering local organizers a PDF "tool kit" that includes downloadable graphics, sample Facebook and Instagram posts, a draft press release, and talking points for a rally speech or media interviews. The handbook's social-media advice includes ... "What to post: Photos of the march ... Fun or poignant march signs ... Photos of the crowd to show scale." "Be sure your tweets and instagram posts all use the hashtag #MarchForOurLives." "Tag @AMarch4OurLives, @Everytown, @MomsDemand, and @GiffordsCourage in your photo and video posts so that we can find your content and amplify it." "Over the weekend, entreaties for the social-media giant to take responsibility evolved into calls for Chief Executive Officer Mark Zuckerberg to appear in front of lawmakers." "Facebook has already testified about how its platform was used by Russian propagandists ahead of the 2016 election, but the company never put Zuckerberg himself in the spotlight with government leaders." Why it matters: "The pressure may also foreshadow tougher regulation for the social network." "The Facebook executives who responded are correct — there was no security breach. ... Facebook has since put better security controls for apps in place, so users can more easily control what information apps are gathering." "But they're missing the point. Facebook users are slowly learning that [others] can use Facebook to collect detailed information about them, and that — at least some of the time — Facebook cannot control where this information flows." "[R]etailers can list their products on Google Search, as well as on the Google Express shopping service, and Google Assistant on mobile phones and voice devices." "[T]he retailers pay Google a piece of each purchase, which is different from payments that retailers make to place ads." "Google’s pitch to retailers is a better chance to influence shoppers’ purchasing decisions, a move that is likely to help them compete with rival Amazon." Why it matters: "Google hopes the program helps retailers capture more purchases on desktop, cell phones and smart home devices with voice search." "Putin, who has ruled Russia for almost two decades, recorded his best election performance with 76.67 percent of the vote" in a field of eight. 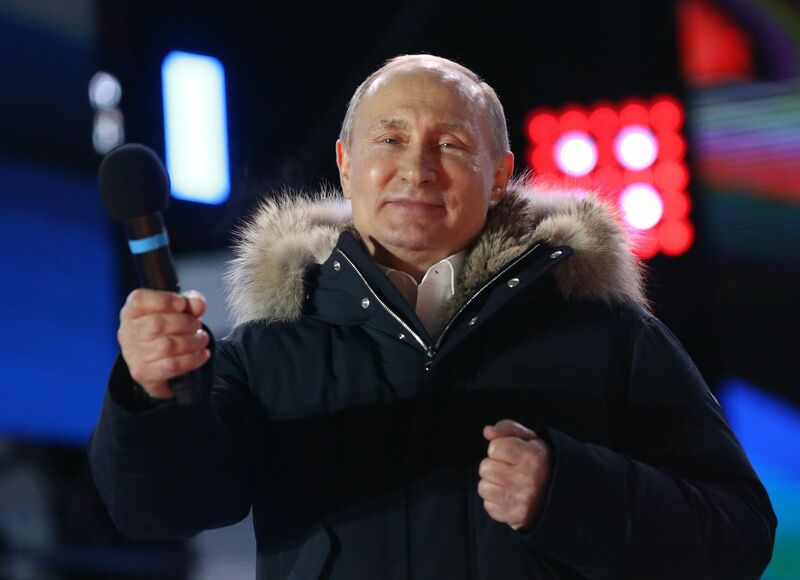 "The opposition said the results were rigged, reporting ballot stuffing and other cases of alleged fraud as the Kremlin pushed for a high turnout to give greater legitimacy to Putin's historic fourth term." "Turnout was at more than 67 percent ... Selfie competitions, giveaways, food festivals and children's entertainers were laid on at polling stations in a bid to create a festive atmosphere." Why it matters, from AP: "Putin now has a stronger hold on Russia, and stronger place in the world, thanks to an overwhelming mandate for yet another term as president." 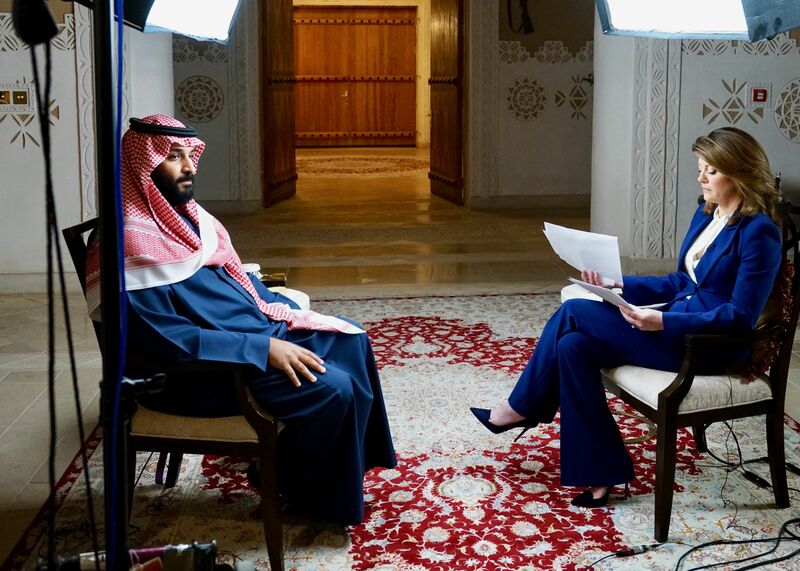 Why he matters: MBS, as he's known, is "already the most dominant Arab leader in a generation. This week, he embarks on a cross-country American tour, where he'll pitch his kingdom to a skeptical U.S. public." Who he is: "He was named heir to the throne nine months ago by his 82-year-old father, King Salman. ... [MBS] is emancipating women, introducing music and cinema ... in a land with 15,000 princes." 8. Trump to Hope: "I’m sorry for everything you’ve been through"
Hicks took out one of her notebooks, black leather with the Trump name embossed in gold on the front. She’d prayed a lot over the weekend, and also written two lists in the same bubbly print that had recently been photographed on a note card in Trump’s hand, reminding him to tell survivors of a school shooting, among other things, “I hear you.” One list contained reasons to resign as White House communications director immediately; the other, reasons to wait to resign. Not resigning at all wasn’t a consideration. 9. 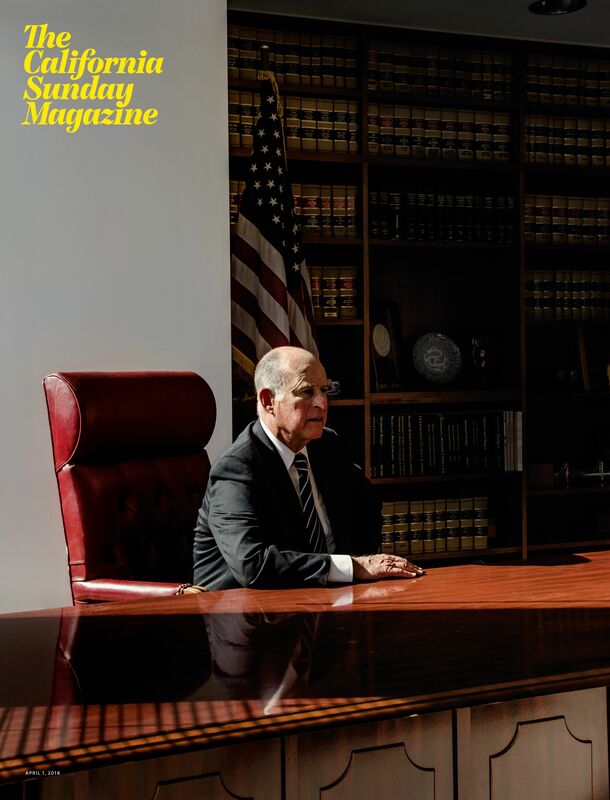 "The wise man of American politics"
Why he matters: "Written off in his youth as a New Age dilettante, Brown now finds himself the wise man of American politics. ... On the defining issue of our time, climate change, he has assumed the mantle of alt-president, traveling to Europe and Asia, insisting the United States will not abandon its commitments." "He leads an unabashedly liberal state, whose high taxes, government activism, embrace of immigration, and thriving economy serve as a rebuke to the current occupant of the White House"
"Yet he refuses to align himself with the anti-Trump 'resistance' ... He never has fit neatly into any camp, but never before has he commanded so much influence." "Brown balanced the budget, first through spending cuts and then with a temporary tax increase. Today, California is in the black and has even banked an emergency fund of eight billion dollars." "If, as now seems possible, Democrats dominate the 2018 and 2020 elections, and they end up governing as unilaterally as the Republicans have, Brown fears that 'a cycle will be created, in which one side pushes as far as it can until it’s thrown out, then the next one does it, and then it will happen again.'" "He compared it to a car 'fishtailing.'" 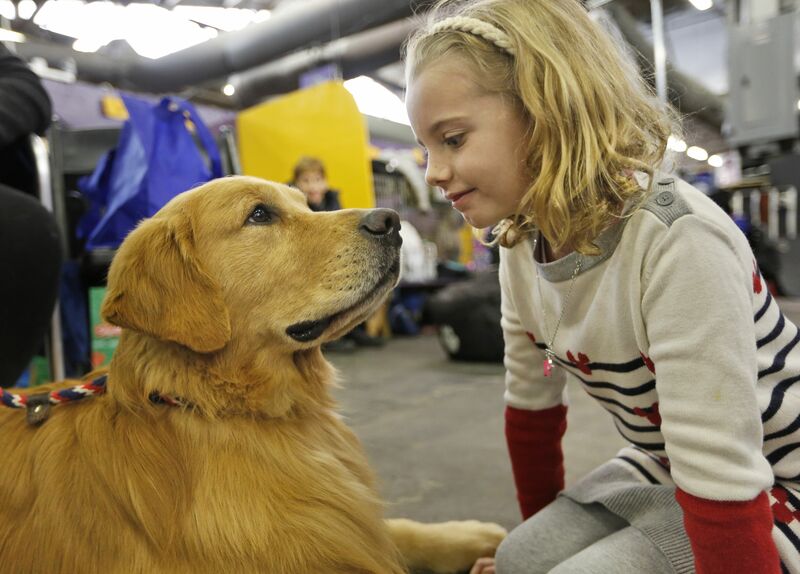 "Known for their webbed feet, and an oily, wavy coat that helps make them extremely agile in the water, Chesapeake Bays [the UMBC mascot] 'are probably the most intense of the retrievers.''" "The breed is considered strong, well-balanced and intelligent, and eager to work. " Chaser ... "UMBC's improbable run through the NCAA Tournament was brief. ... For one weekend in March, the tiny commuter school from Baltimore known for its academics and championship-winning chess team captured the hearts of the college basketball world and beyond." "The fairytale came to an end Sunday night in a 50-43 loss to No. 9 Kansas State;"
"By becoming the first No. 16 seed to beat a No. 1, the Retrievers made about $1.7 million for the America East Conference. Loyola-Chicago's buzzer-beating run to the Sweet 16 will be worth double that to the Missouri Valley Conference. Nevada's consecutive comebacks were also worth about $3.4 million for the Mountain West. The MVC and Mountain West will pocket at least as much from NCAA Tournament units as the Pac-12, which had three teams in the field, all bounced after one game each." ☕️ Thanks for reading. Buckle up for the week ahead — all live on Axios.com!